Candidate Statement: I am honored to be considered for the AAS Board of Trustees. Decades ago, Jay Pasachoff invited me as an undergraduate to an education session at my first AAS meeting, an experience that shaped my future. 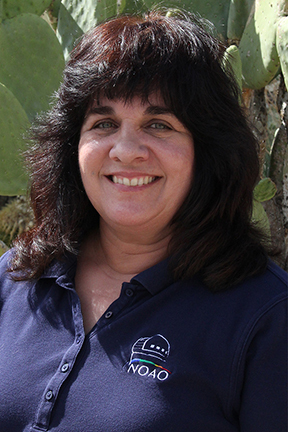 As an astronomer working at National Optical Astronomy Observatory years later, I help create and implement a variety of educational programs (and professional development) in the field of astronomy education and public outreach. These programs bring the passion of professional and amateur astronomers to students at all levels and the general public. I place great hope that today’s children and young adults can be effective leaders of tomorrow. Investments in scientific literacy can tap into the innate thirst we are all born with to understand our place in the universe and help motivate the next generation to achieve their full potential. Organizations like the AAS are an effective means by which cutting-edge educational programs can be put into action. For 20 years, I have been involved with the Astronomical Society of the Pacific (ASP) and part of their progress in astronomy education. With the experience I have gained in governance through my positions on the ASP Board of Directors as secretary, vice president, and, most recently, president, I am well positioned to help implement the AAS’s vision in “assisting its members to develop their skills in the fields of education and public outreach at all levels.” I believe that efforts in these areas will “enhance science literacy and lead many to careers in science and engineering.” Enhancement in science literacy should be inextricably tied to upholding diversity and inclusion. If elected, I look forward to contributing to Goal 3 of the AAS Strategic Plan in “re-imagining AAS efforts in education, public outreach and professional development”. Thank you for considering my nomination.